So, for purposes such as storing intermittent renewable energy in the future, French researchers and material engineers of the CNRS and CEA have re-invented a rechargeable battery containing sodium instead of the commonly used lithium. 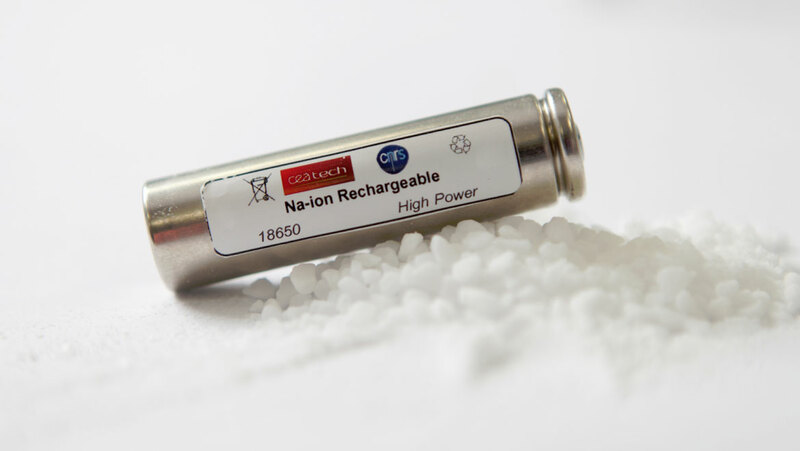 In fact, in the late 1900s, the idea of implementing Na ions was discarded because of the durable, high voltage yet lightweight and energetic lithium-ion batteries. But over time, the latter’s efficiency was shadowed by its uniqueness and rarity, i.e. located only in a few places around the world. Also, the standard 18650 format, which refers to the cell’s cylindrical shape, with a diameter of 1.8cm and height of 6.5cm, was being applied in portable computers, smartphones and even new-age electric cars like the Tesla. Due to this, it was feared that the mass production of Li batteries would lead to an increased demand and price of the element. Enter sodium! Reasons for applying the alternative Na+ technology included its accessibility, mostly from seawater, cost-effectiveness, commendable performance levels, it being found in amplitude in nature (the sixth most abundant element on Earth) and its sustainability, also, safety is an issue as chances of fires and short circuits are known with Li batteries. How does this new concept work? Exactly as its predecessor! While charging and discharging, which is relatively faster in the sodium battery arrangement, ions are transported between electrodes to produce energy to power up or shut down the battery, respectively, with an electronic controller for its regulation. Now, since one of the initial challenges of the Na-ion cell pack was finding suitable electrodes, the scientists kept its composition a secret until recently, where they patented and revealed that the cathode was made up of Na2Ti3O7; for reference, positive electrodes of lithium batteries were built up of LiCoO2 or LiFePO4. Huge things are being predicted for this novel prototype, studies projecting a market of $80 billion dollar in the next 3 years although some of the challenges of the use of sodium still requires overcoming. A struggling carrier of charge as compared to the battery with Li+, it loses 0.3V while storing electricity. Another hurdle is productivity levels - with a capacity of 90Wh/kg, Na cells currently only match lithium batteries of the past. Croguennec of the CNRS believes that energy levels are yet incomparable between the two and the prototype is not ready to be launched though the material can definitely be optimized for the industry and will be taken forward for future applications. We’re only hoping for a battery invention that is inexpensive and shows longevity when installed in our cars and smart devices!